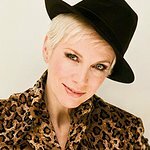 Annie Lennox will return to the Scottish Parliament on Wednesday March 14 as part of Commonwealth Day events taking place on the day. Annie will address an audience on the Global Plan and the exciting development of the UNAIDS targets, particularly in relation to Preventing Mother-To-Child Transmission of HIV. Lennox will be speaking in her capacity as Special Envoy of the Commonwealth Parliamentary Association (CPA), Scotland branch. Earlier in the day a Members’ Debate will also take place. The theme for Commonwealth Day 2012 is ‘Connecting Cultures’. “Commonwealth Day is an opportunity for the Scottish Parliament to focus beyond our borders and draw attention to the connections that we have made across the globe,” said Scottish Parliament Presiding Officer, Tricia Marwick MSP. "In celebrating Commonwealth Day, the Scottish Parliament also celebrates the role of democracy, seeking to advance knowledge and understanding of democratic principles through its participation. “I am delighted that Annie Lennox, as CPA Scotland’s Special Envoy, is here to update us about her ongoing humanitarian work to reduce the scourge of HIV, particularly as it affects women and children in Africa. She is an inspirational campaigner who has brought passion and insight into the fight against HIV/AIDS. The Scottish Parliament is extremely proud of its association with her work. Annie also attended the Scottish Parliament Commonwealth Day event last year.